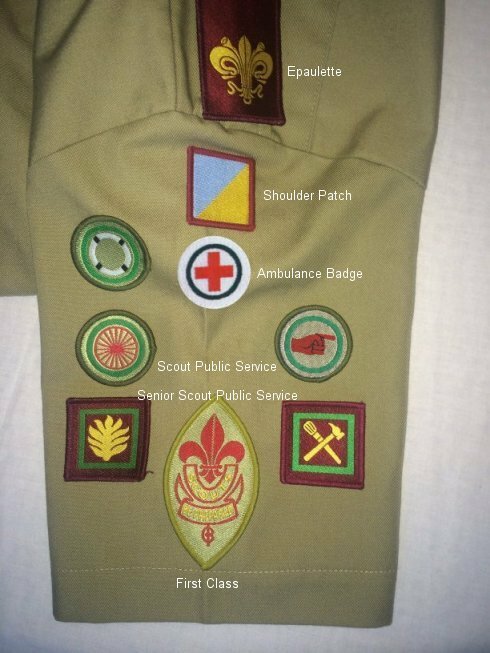 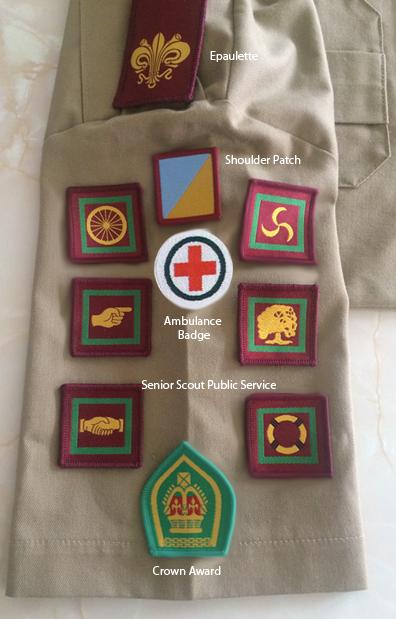 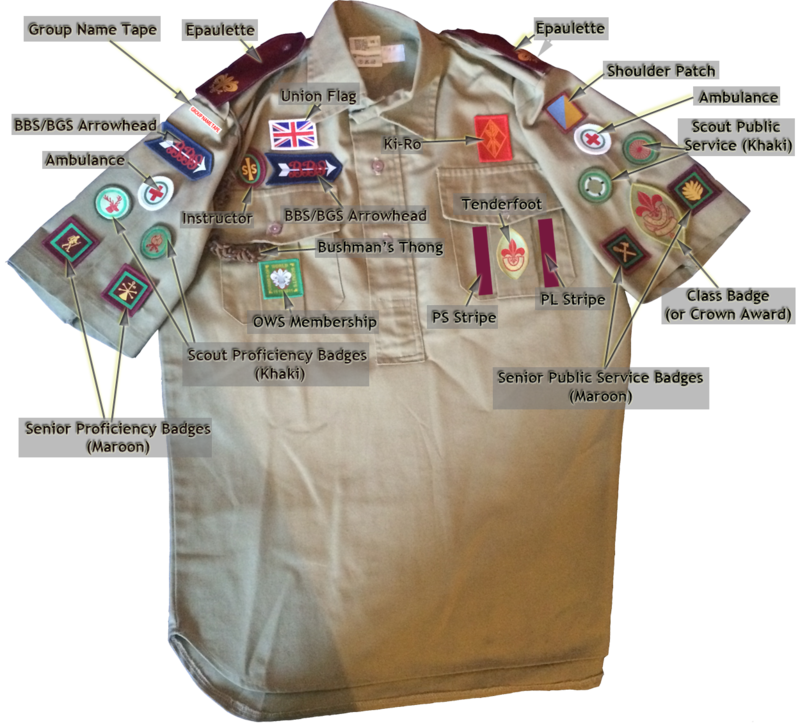 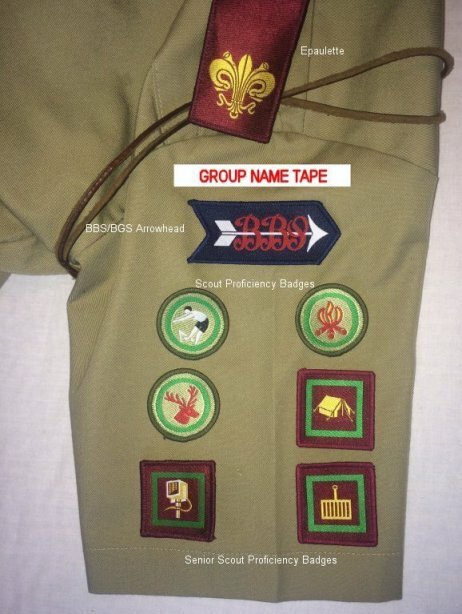 Badges gained as a Scout may be continued to be worn until an equivalent Senior Scout badge is gained. 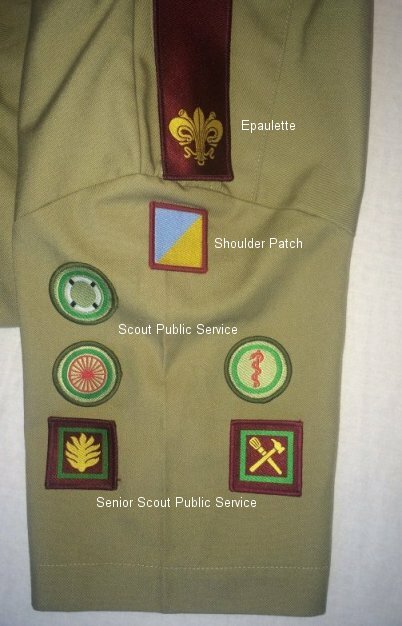 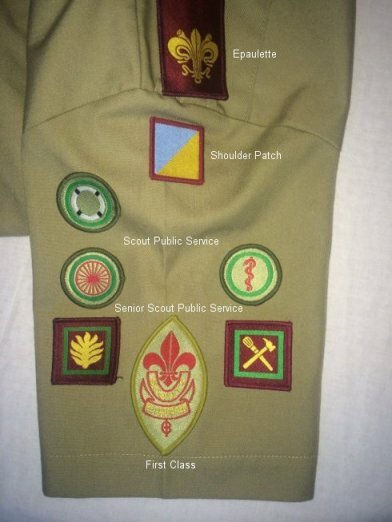 Public service badges are worn on the left arm, and other proficiency badges on the right arm. 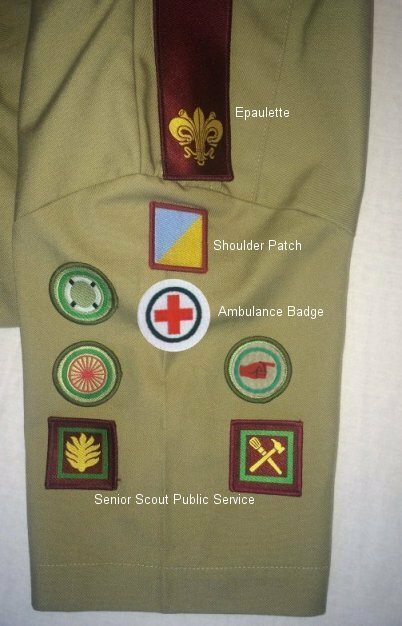 The ambulance badge is worn on both arms. 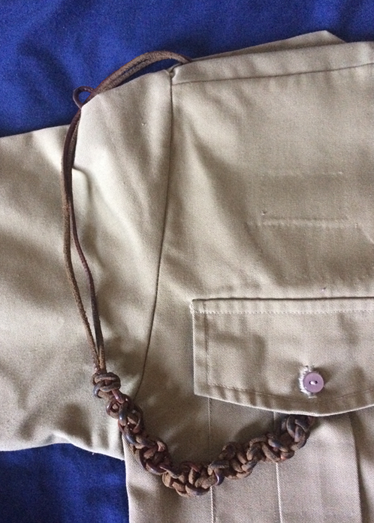 The bushman's thong takes the place of the Scout Cord when gained. The 1st Class badge is removed when the Crown award is gained. 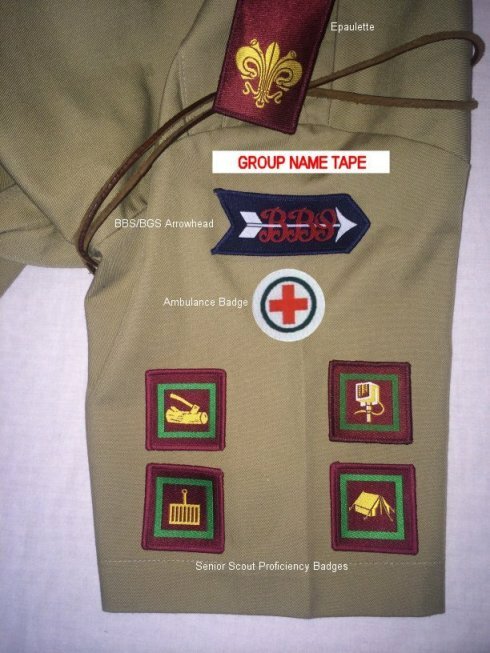 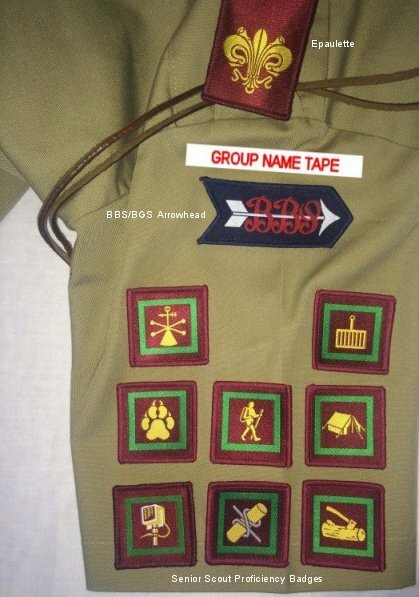 The Instructor badge goes on the pocket line above the right-hand pocket to the right of the BBS/BGS arrowhead badge. 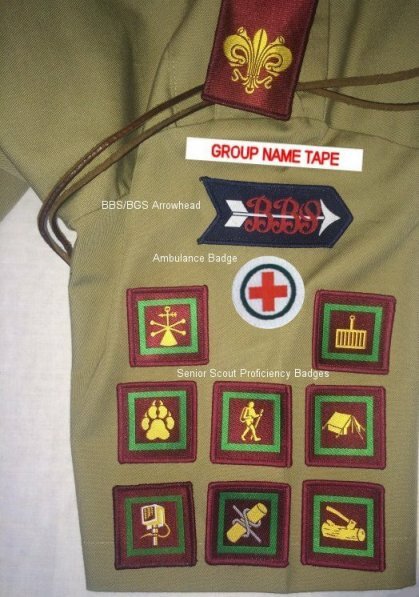 The BBS/BGS arrowhead badge may need to be moved along slightly to accommodate it. 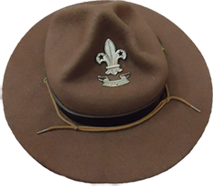 One maroon Stripe: Patrol Second. 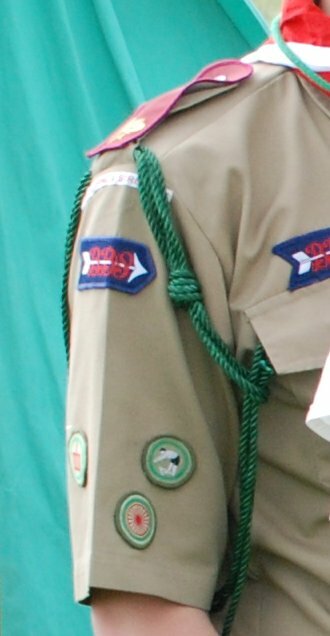 Two maroon Stripes: Patrol Leader. 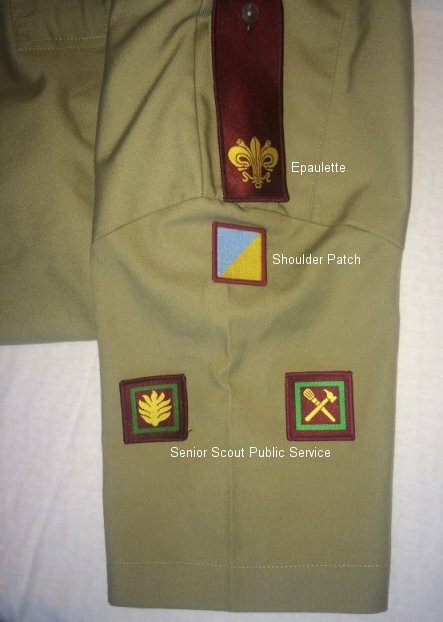 Three maroon Stripes: Troop Leader.